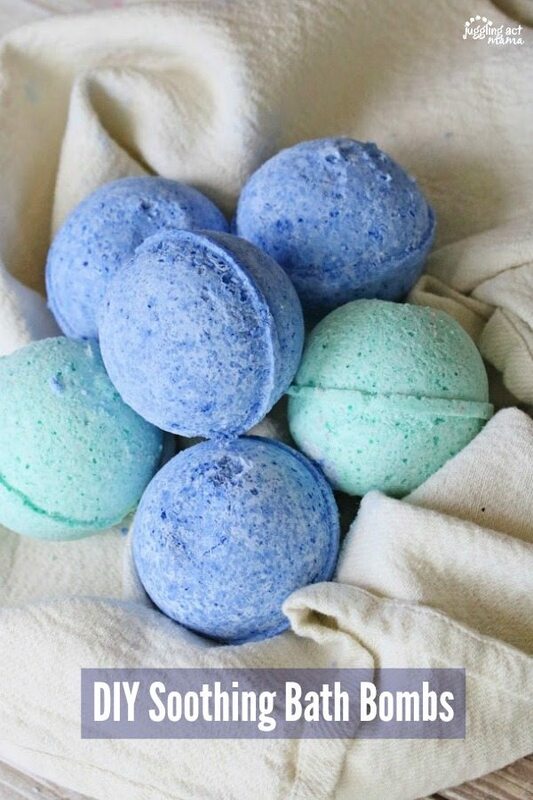 These DIY Soothing Bath Bombs are the perfect addition to a relaxing bath! A relaxing bath is a amazing way to unwind, and our DIY Soothing Bath Bombs have just the right combination of essential oils to help reduce anxiety. My most favorite way to relax is with a long hot bath. I love adding Epsom Salts and essential oils to really make my baths special and really help me to unwind. 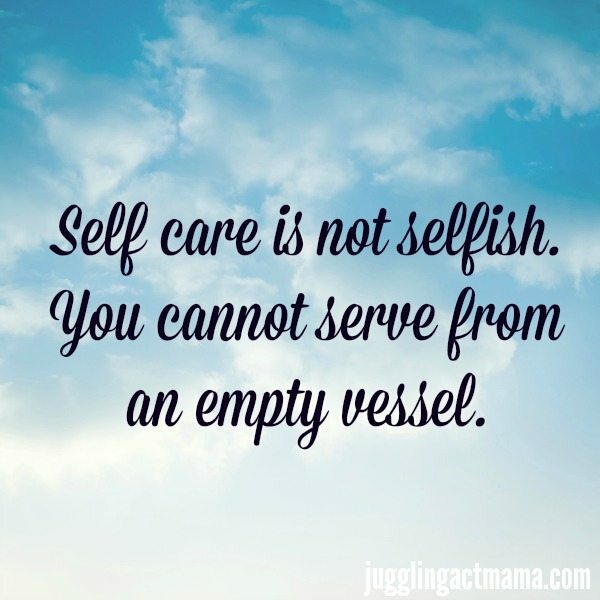 Between working and mothering, sometimes I just need a break from it all. There’s something fun and special about bath bombs! After all, watching them fizz is relaxing in itself, but they can be so expensive. Investing in the ingredients, and a quality mold will mean you can make these anytime you want, and they make great homemade gift items for birthdays and holidays. You’ll be surprised just how easy these are to make. Here’s how to make these DIY Soothing Bath Bombs. This “recipe” makes 4 large ball style bombs. In a large bowl, whisk together all the dry ingredients. Break up any clumps with your fingers. In a small glass bowl, combine the almond oil, essential oils and witch hazel, whisk to combine. Pour the liquid mixture into the large bowl. (It will fizz once the liquid touches it.) Begin mixing using a fork (or your hands) until everything looks combined and somewhat moist. Prep your silicone molds and use a spoon to fill the molds halfway. Using a silicone spatula, press the mixture into the molds firmly. Spritz each mold with a bit of water (one spray) and press down again to make sure they’re firm. Close the molds and let them sit in a cool dry place for twenty four hours to set before removing from molds. 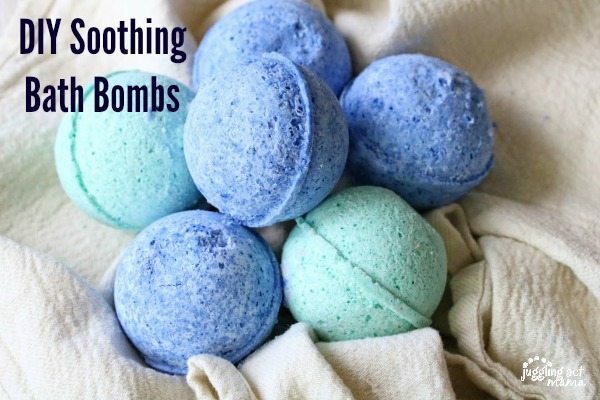 Note: The mica powder and almond oil in these bombs will leave your bath a bit slippery, so take caution when getting out! Hi! I’m excited to make these! However I don’t have the mica powder. Is that completely necessary? Or is it just for color?